The Prodigy Disc X3 is a consistent, very long flying, slightly overstable distance driver designed for all skill levels. 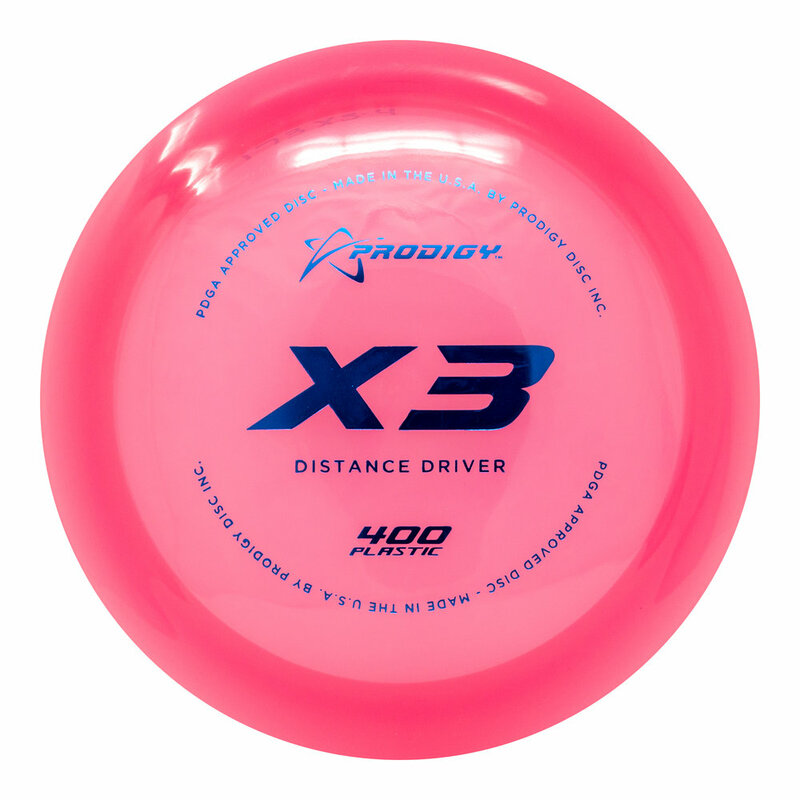 The X3 is a great choice for any player looking to throw long, fast, and dependable drives. The X3 is slightly less stable than the X2, giving it a longer glide period in the middle of the flight path, and a softer left to right finish. The X3 matches the X1 and X2 in consistency but exceeds in turn and glide.